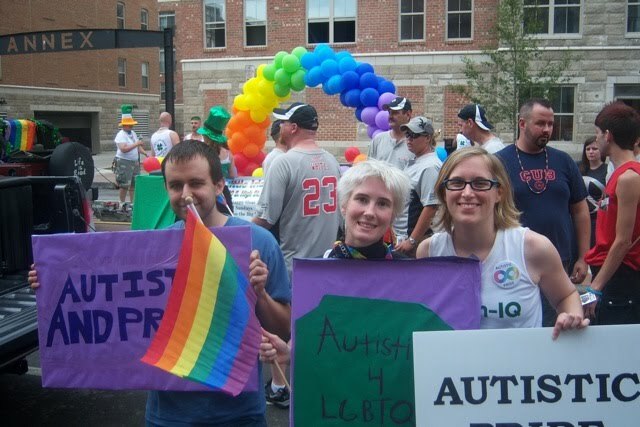 The goals of the Autistic Self-Advocacy Network (ASAN) are to advance the autistic culture movement and to improve the representation of the autistic community in public policy deliberations about autism and disability affairs. The Central Ohio chapter of ASAN seeks to provide opportunities for social and community involvement in and around the Columbus area. 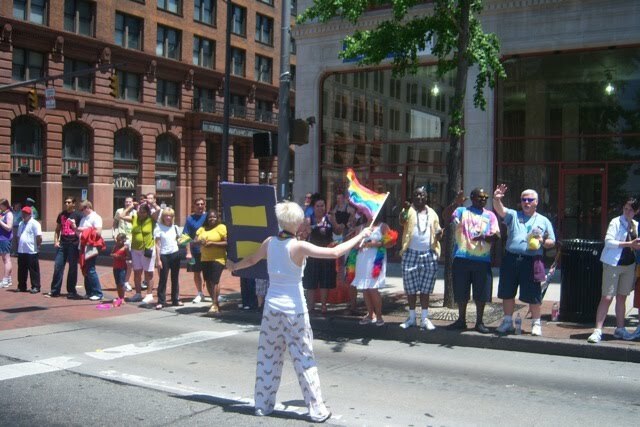 On Saturday, June 19, ASAN-Central Ohio marched in the Columbus Pride parade. Marchers included Noranne Cochran, Justin Rooney, and Whitney Brooks. Before the parade, members distributed autistic pride buttons to the crowds and received a good deal of positive response from autistic people and family members in attendance. 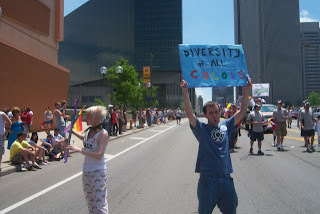 During the parade, ASAN members held signs that read Autistic Pride, Autistic and Proud, Autistics 4 LGTBQ, and Diversity of All Colors. 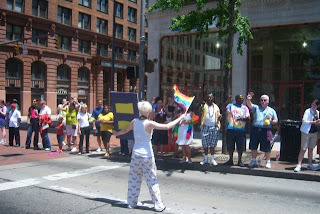 According to Stonewall Columbus, over 195,000 people were in attendance at the event. 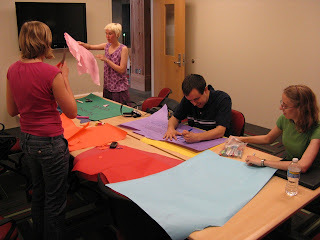 Stephanie Ballam, Jeffrey Strasser, and Melanie Yergeau also participated in the event planning, as well as in the creation of the signs and buttons. To view more photos, please visit our Flickr site. 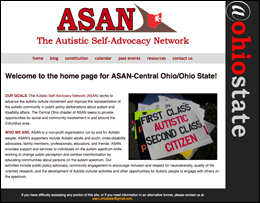 Visit our web site at http://asan.org.ohio-state.edu. If you have difficulty accessing any portion of this site, or if you need information in an alternative format, please contact us at asan.ohiostate@gmail.com.